This time of year I become very anxious for signs of spring and some fresh new color. The “winter like” weather still teases us with one warm beautiful sunny day, only to wake up the next day, with blizzard like conditions. Spring is full of new beginnings! 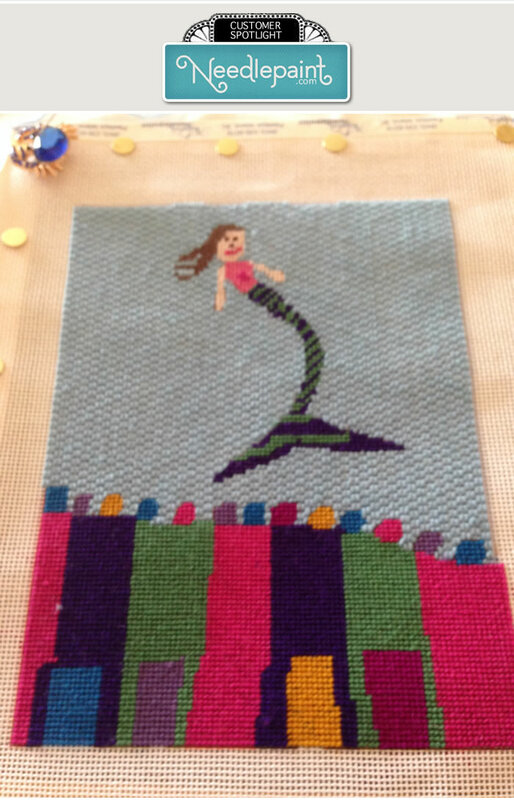 Why not learn how to needlepoint or teach a beginner how to needlepoint. 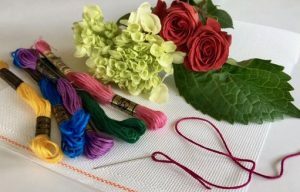 If you’re a veteran stitcher, learn a new stitch or try a new type of thread. 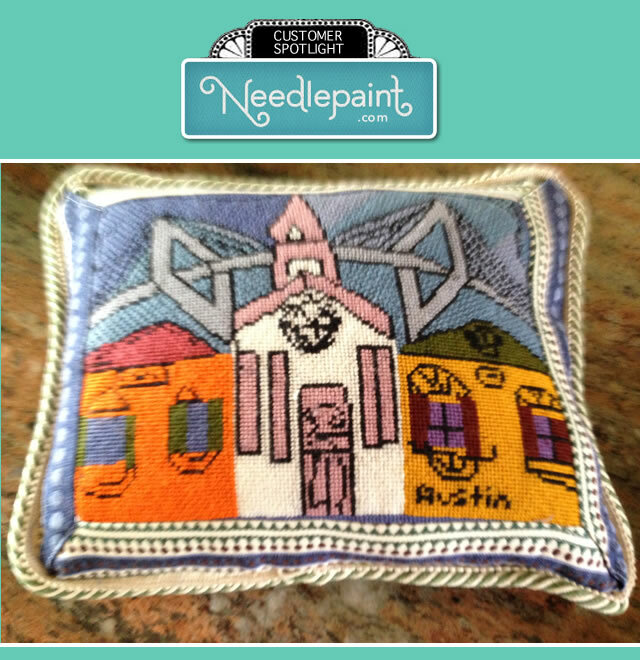 Here at NeedlePaint, we have needlepoint projects for all skill levels. To welcome in spring, we have taken inspiration from those blooms; we are so anxiously awaiting to appear in our gardens. 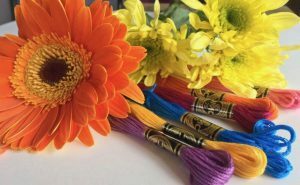 We have created some needlepoint canvases for you to enjoy stitching, and add that much needed color you may have been craving. 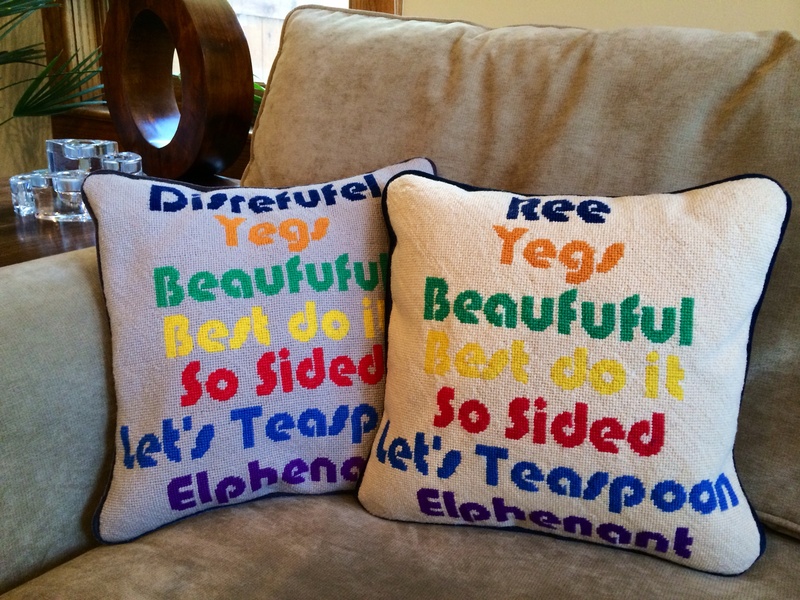 You’ll love stitching one or all of these three new pillow designs! Truly brilliant and joyful, sunflowers say summer like no other flower! 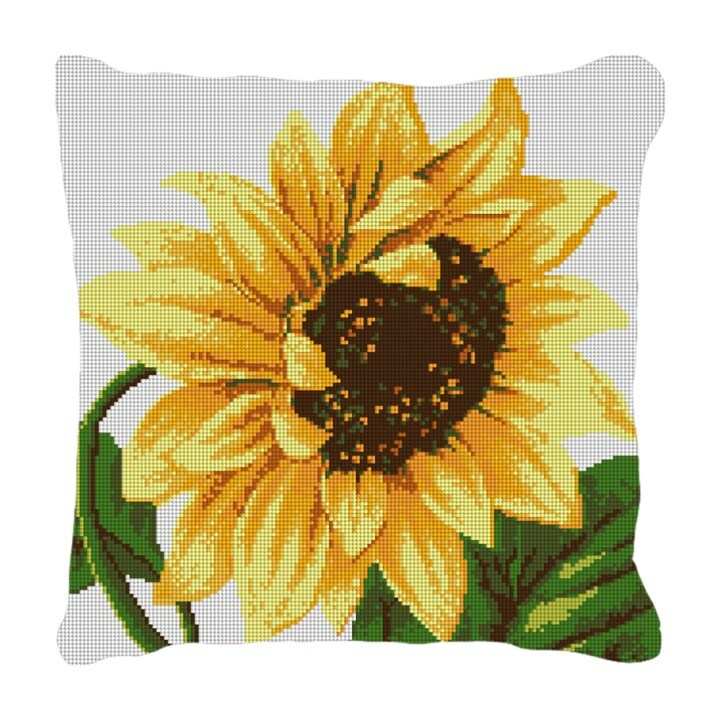 In the language of flowers; sunflowers represent adoration, loyalty and strength. “A tulip doesn’t strive to impress anyone. It doesn’t struggle to be different than a rose. the tulip is always a welcome sight for the new season! Marco Polo described peony blossoms as “roses as big as cabbages”. 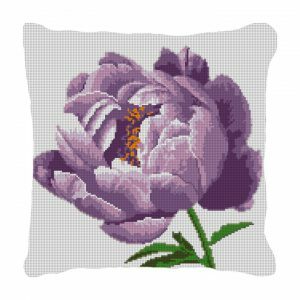 peonies represent romance, prosperity, a happy marriage, riches, honor and compassion. Remember we are here to help you with all of your needlepoint needs! 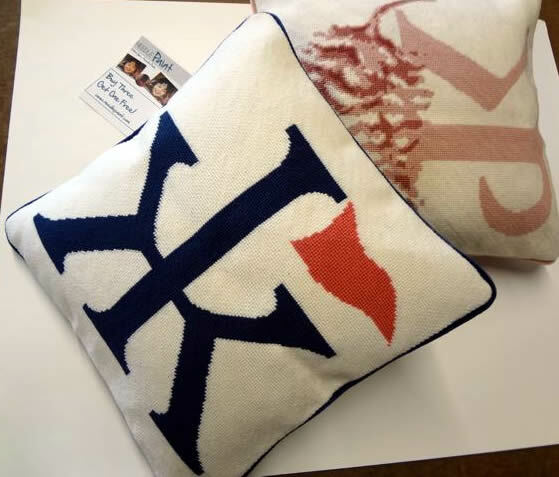 We do offer a pillow finishing service, creating a finished pillow with your stitched canvas. Feel free to contact us with any of your questions at: info@needlepaint.com. We hope your spring is full of new beginnings — and many colorful skeins of thread! Ah, the places you’ll visit, the places you’ll see . . . . but when the trips over, where will you be? You like to travel, explore new places, and see new things. You also love returning to the place, where you can hang your hat, when the adventure is over. When back at home, the dust has settled and your bags are unpacked. Now it’s time to cozy in and stitch NeedlePaint‘s new Compass Rose needlepoint pillow canvas. 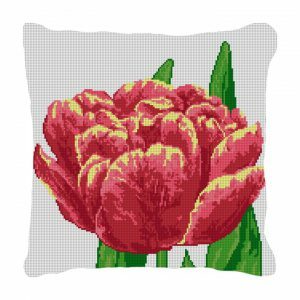 This design is available as a needlepoint canvas for you to stitch, or as a fully finished needlepoint pillow. 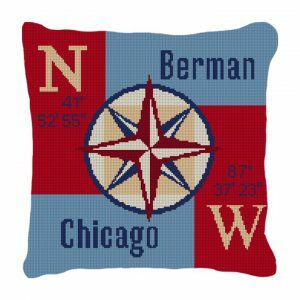 This compass rose design, represents the place you call “Home Sweet Home”. Personalize it with your family name and city, along with your latitude and longitude location. We can also change the colors to match any decor. There is comfort in where you live, a special spot you can call your own. A place where you can stop the hustle and bustle of everyday life: do “nothing” (if that’s an option), carve out some time to think, regroup, recharge, dream about plans for the next adventure, and do a little needlepointing. “There’s no place like home” . . . . happy stitching! 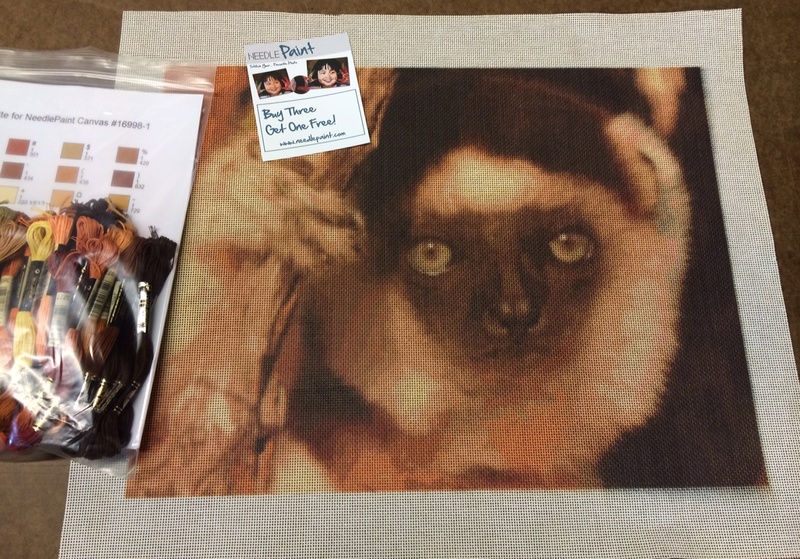 We have a great project to share this week, from Becky in Virgina. 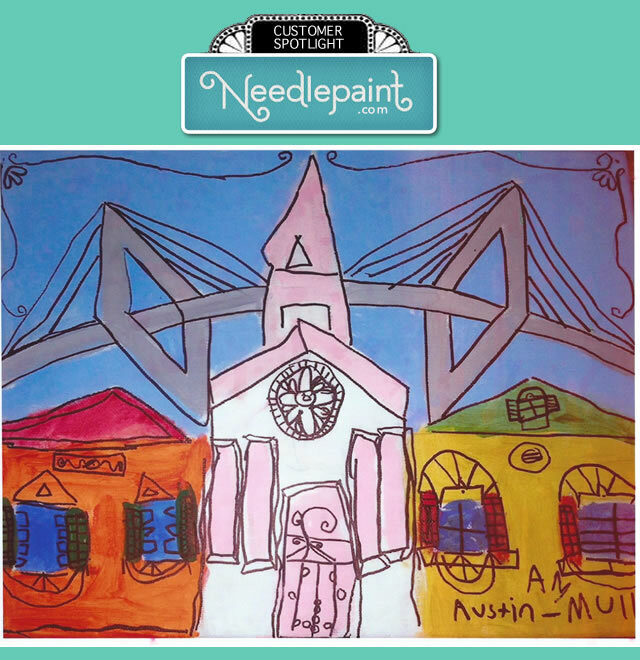 The custom needlepoint projects came to us as scans of her childrens’ artwork, and we converted them into needlepoint kits. The rest is really all her! 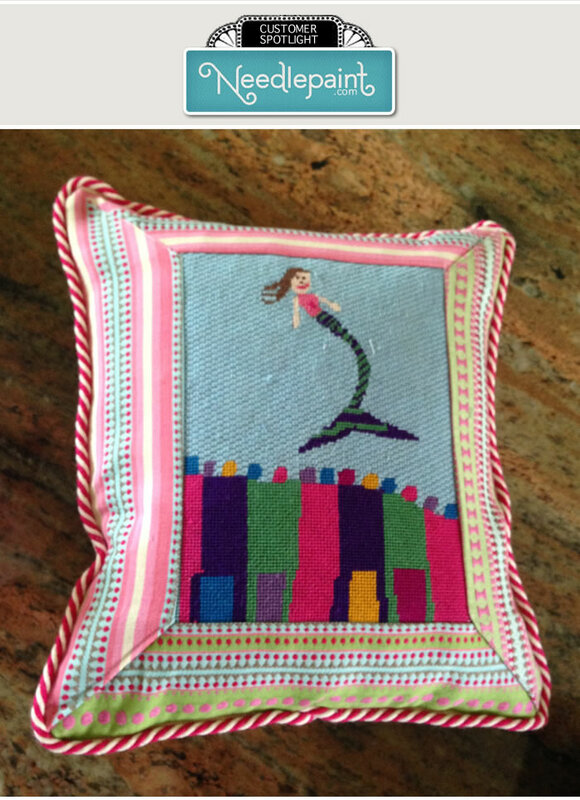 I love the colorful framing around the needlepoint. 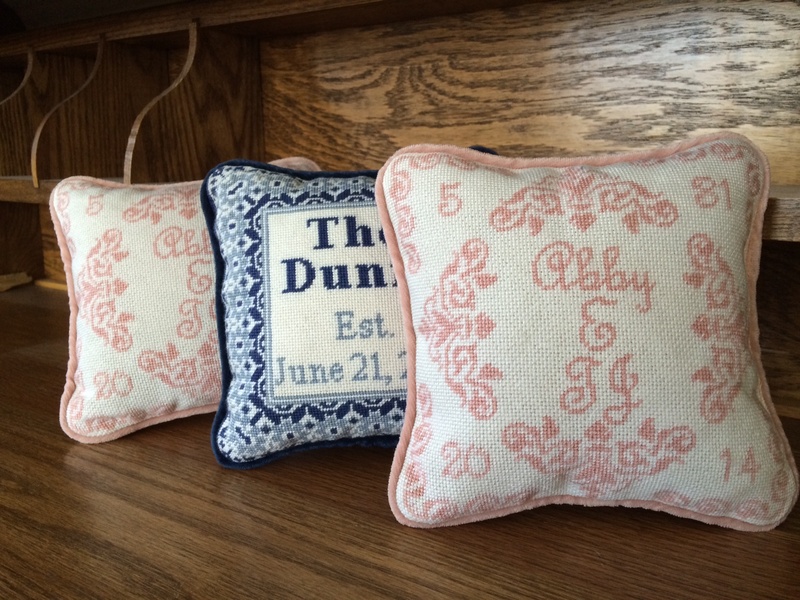 Her whole family loves the needlepoint pillows! Please share this and let Becky know how much you enjoy her work! 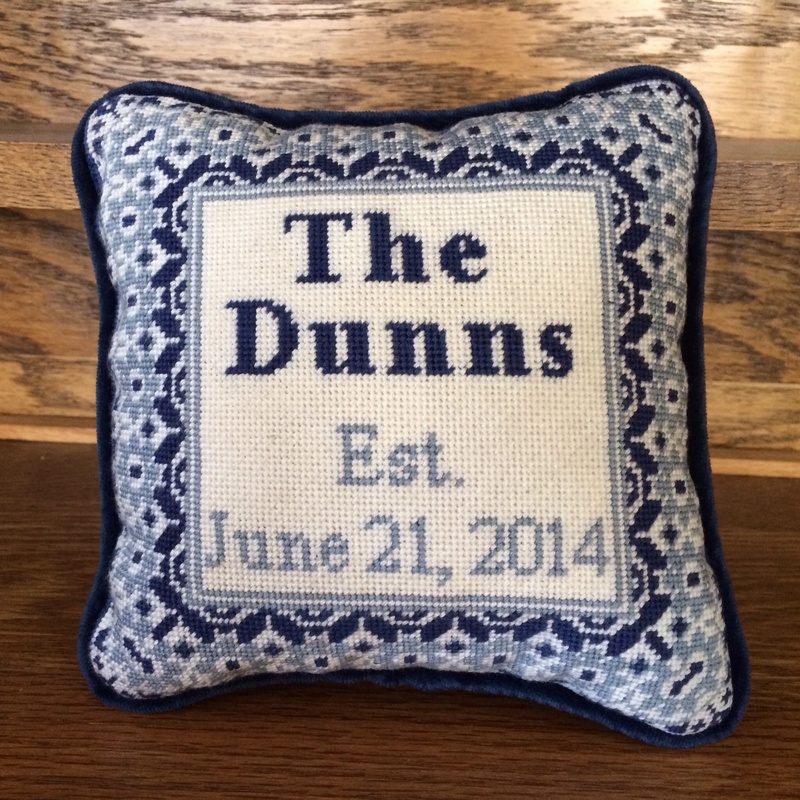 Are you looking for a unique gift or something special for your own house? 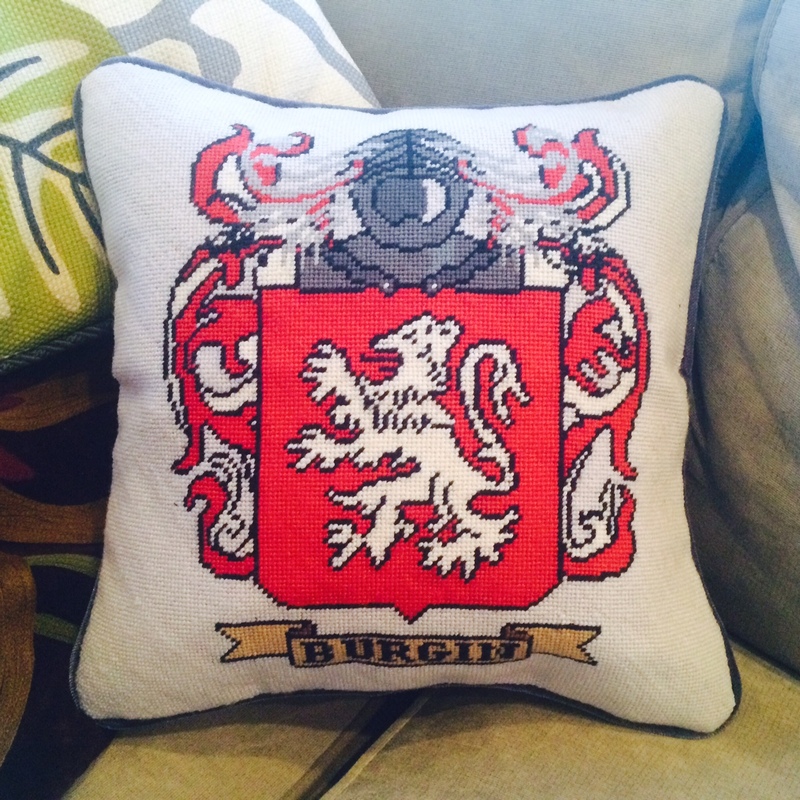 Check out our new Custom Family Crest Needlepoint Pillows! You email us your crest and we will incorporate it into one of our knight designs. Or, if you have something else in mind, we love to work on custom projects! 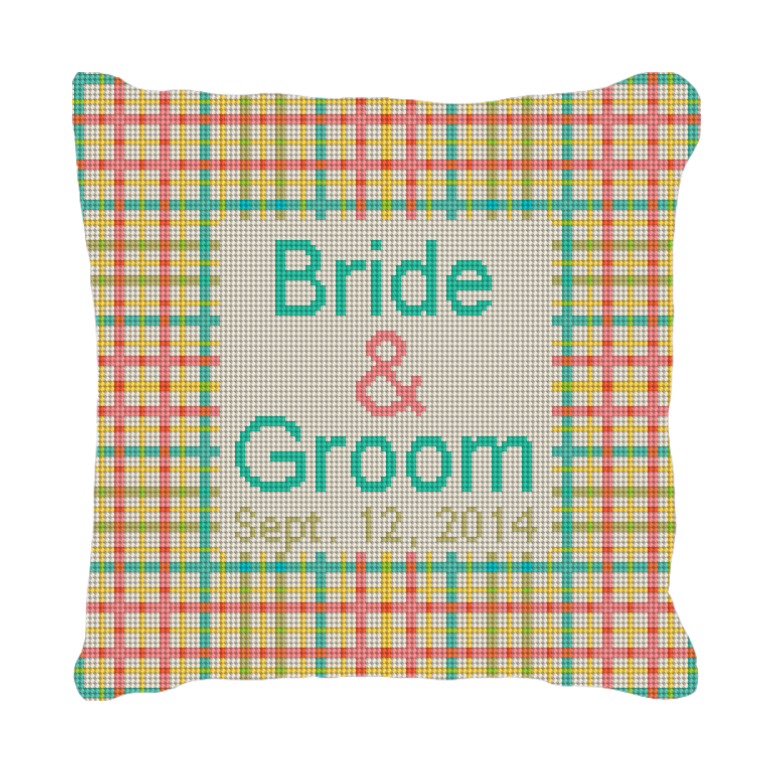 If you’ve got another idea in mind, check our wedding pillows. 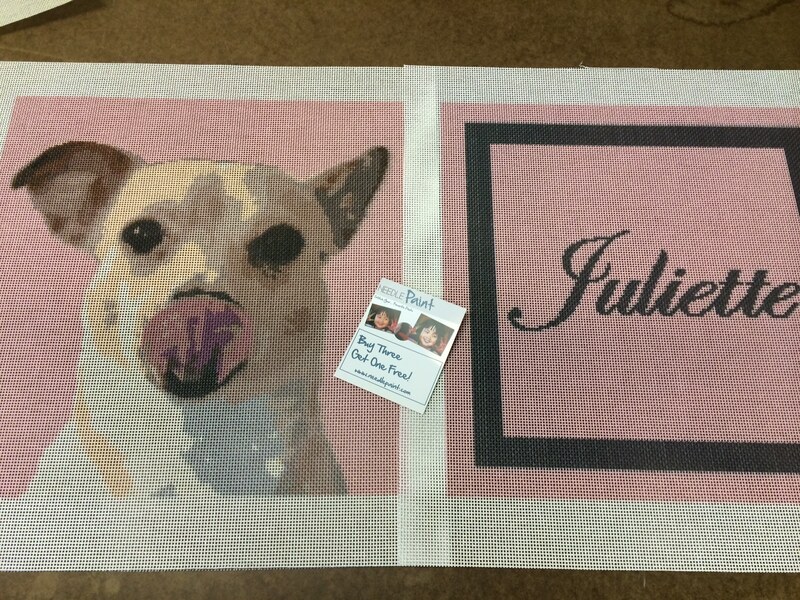 They are designed to be personalized, and if you would like a larger size than shown on our website, please email us and we’ll get back to you with other size options. The pillow below is a larger version of the Grenelle needlepoint pillow. 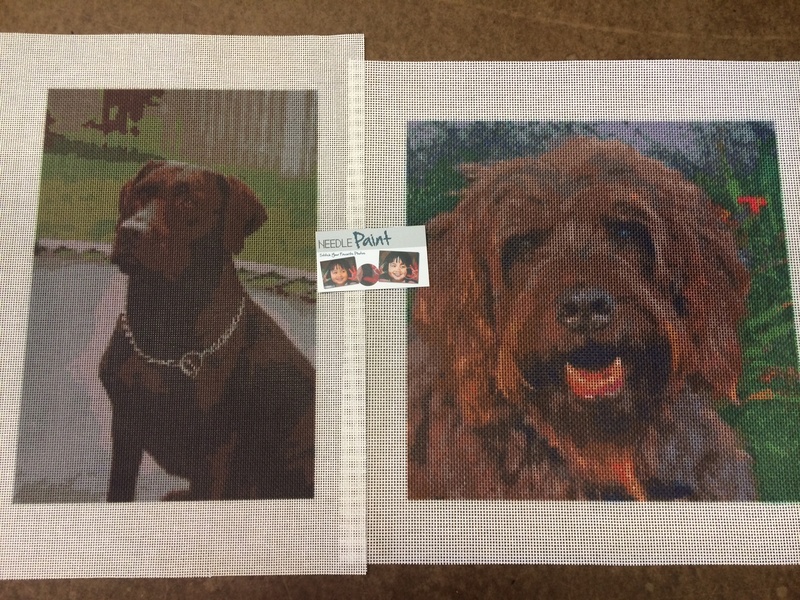 Please keep in mind, these designs are available as DIY needlepoint kits or as fully stitched custom needlepoint pillows. Here is a little more eye candy this week! 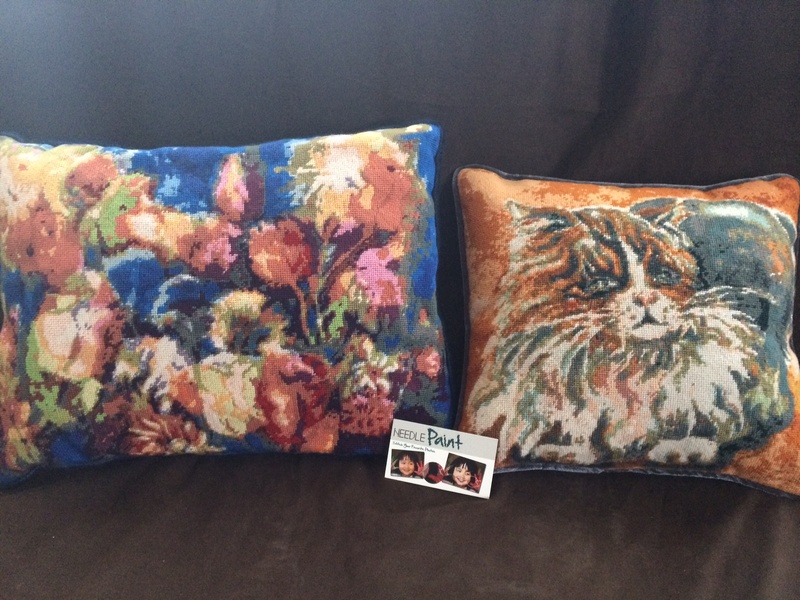 We made these pillows and had to get them delived in time for Chrismtas, so the photo are not the greatest, just some quick shots before we wrapped them up. Have a look and let us know what you think! 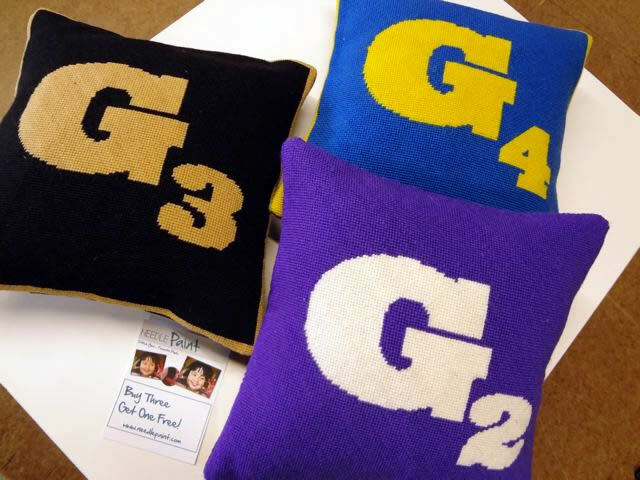 I love the two monogram pillows, and the G pillows are a family treat. I promised more photos this week and here they are! Also, some more great feedback from customers, but I’ll put that in with next week’s posts. Please note, we’ll be away the rest of the week, so if you call or email, replies will be coming early next week. 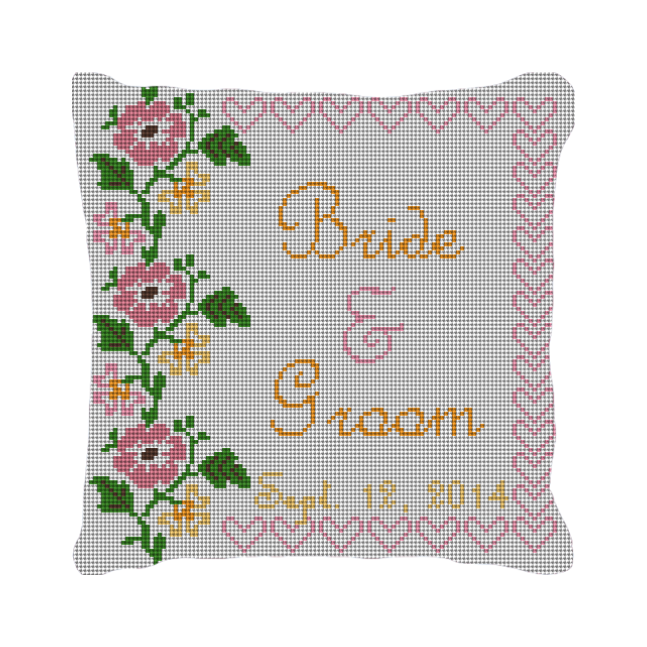 First off, we have the Taza and Poitiers pillows, both are elegant designs especially designed for weddings. 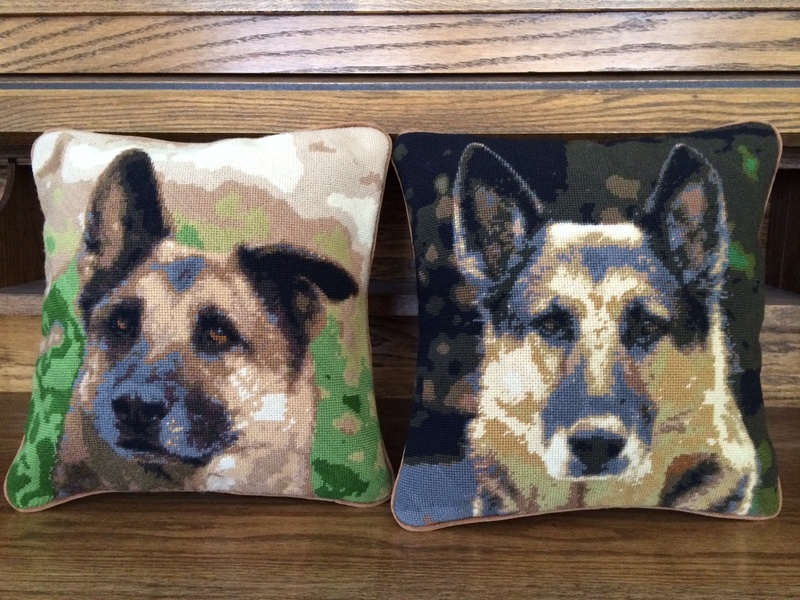 The other project we finished this week was two custom german shepherd needlepoint pillows from photos. Don’t they look amazing! 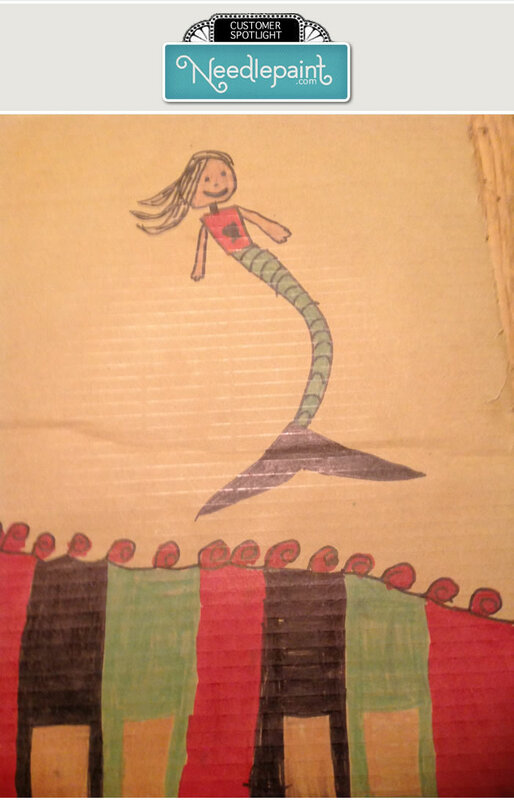 Another fun kids pillow design we created this week. 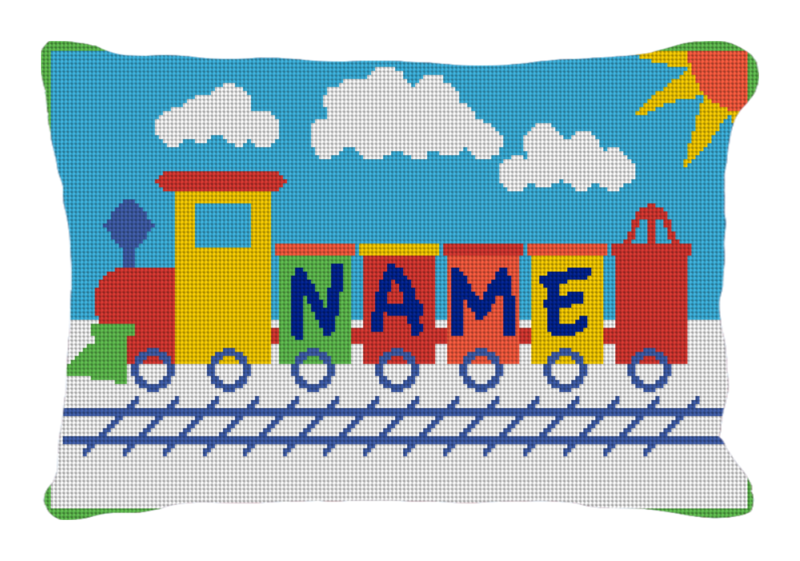 The kids needlepoint train pillow is a classic, but it not only looks great but is educational! How many toys do you see with the child’s name spelled out on it? All our designs are made to order, so if you want to change something on this, just let us know! 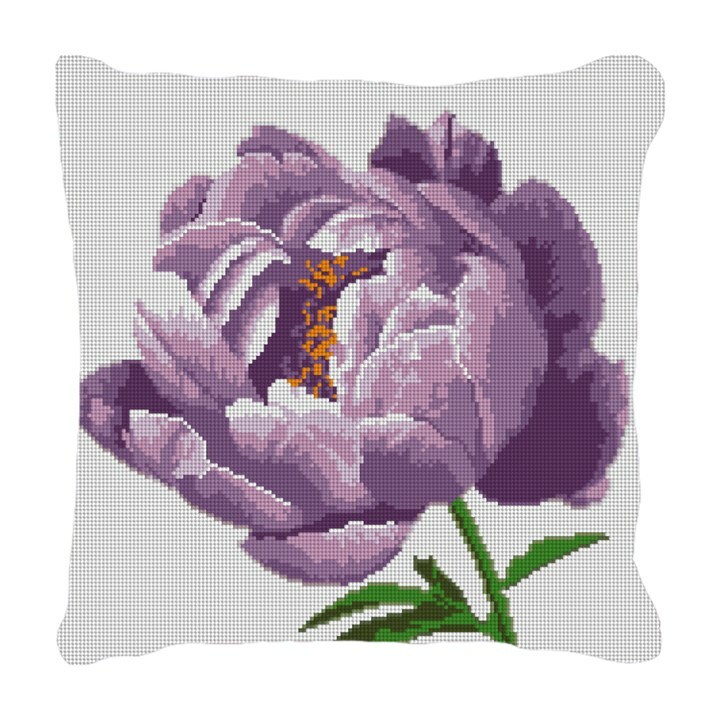 Needlepoint pillows are elegant, it is that simple. 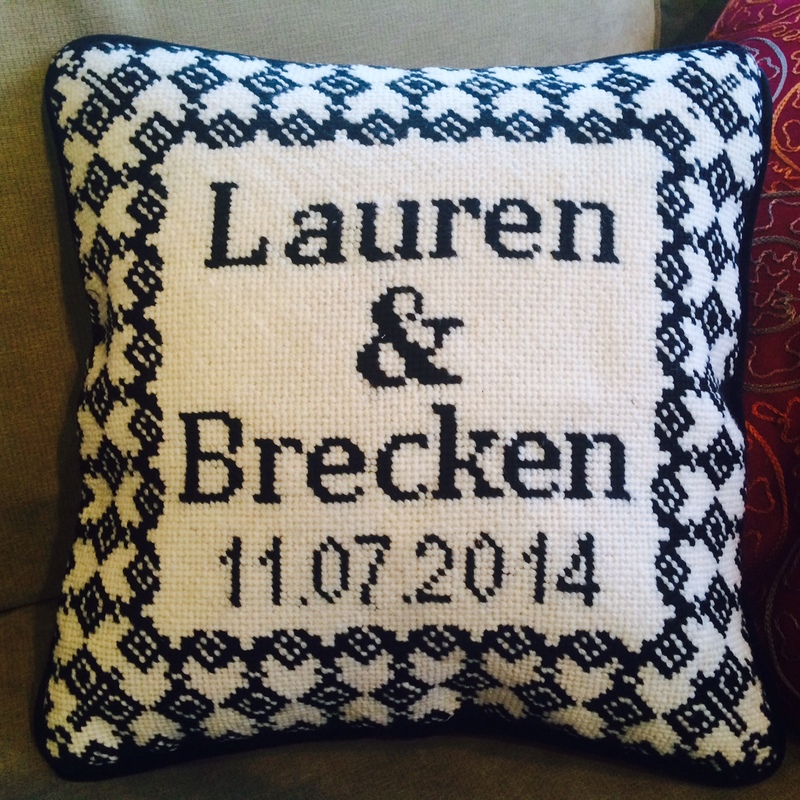 Our hand stitched custom wedding ring bearer pillows feature the bride’s and groom’s names and their wedding date. 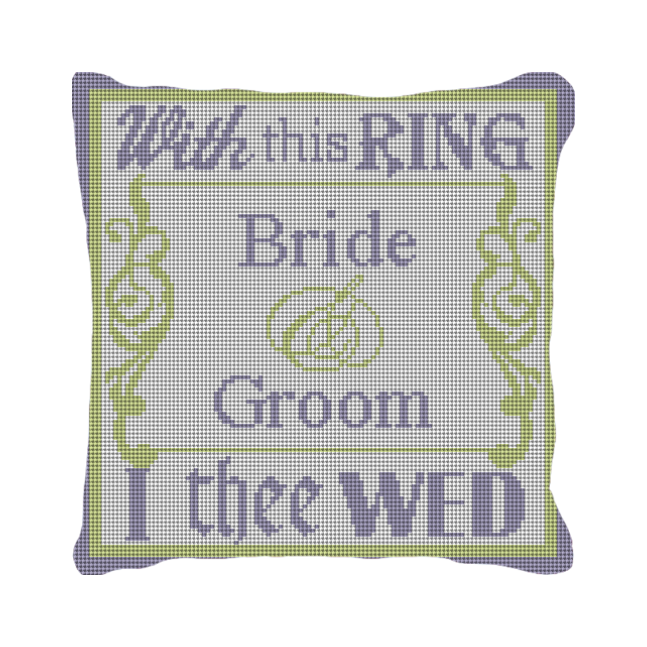 These three new wedding needlepoint designs can also be purchased as needlepoint canvases and you can stitch them yourself!